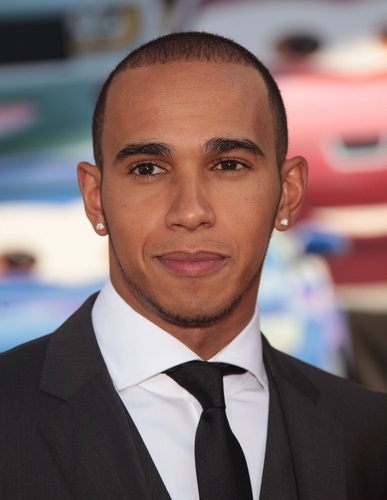 Place of Birth: Stevenage, Hertfordshire, England, U.K.
Lewis Hamilton is a British Formula One driver. He is the son of Carmen Brende (Larbalestier) Lockhart and Anthony Hamilton. His father is of black Grenadian descent. His mother is a white English woman, whose own ancestry includes distant Channel Islander (Jersey and Guernsey). Lewis wears the Grenada colors on his racing helmet. 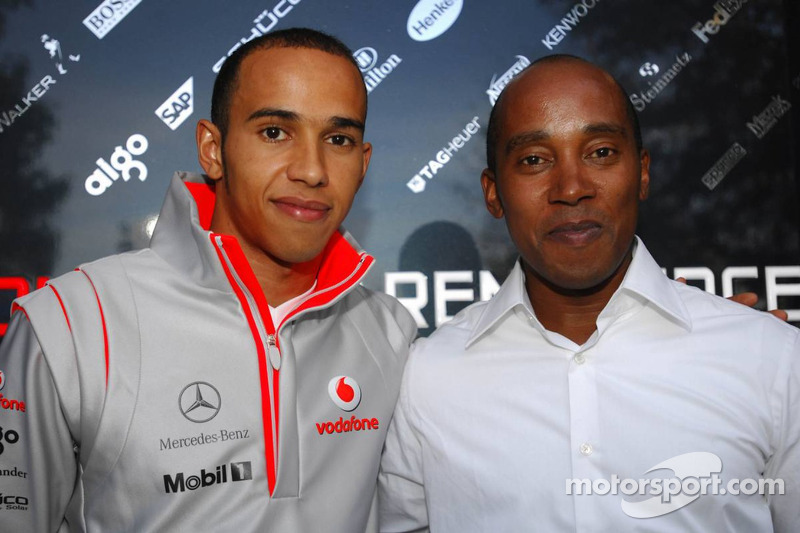 A picture of Lewis with his father can be seen here. Lewis’s maternal grandfather was Sidney Morris Larbalestier (the son of Eric Larbalestier and Kathleen Tanner). Sidney was born in Cardiff, Wales. Eric was the son of Philip Henry Larbalestier and Elizabeth Ann Morris. Kathleen was the daughter of Albert William Tanner and Jessie Riddler. Philip’s great-grandfather, Jean Larbalestier, was Channel Islander (Jersey, Guernsey), from Saint Helier, Jersey. Lewis’s maternal grandmother was Eileen Annie Towers (the daughter of Herbert Edward Towers and Edith Rose Newman). Eileen was born in Stourbridge, Worcestershire, England. Hebert was the son of William Towers and Elizabeth. Edith was the daughter of Samuel Rose and Fanny Newman. 3 times F1 World Champion: congratulations. 5 times now. One of the greatest of all times.